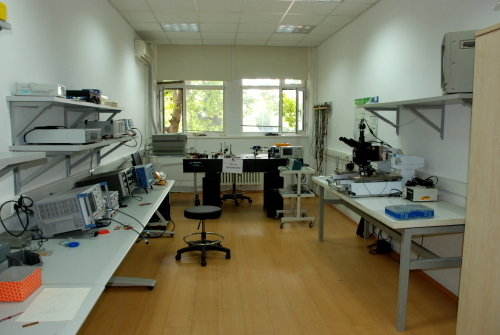 Research Laboratories in BUEE | Boğaziçi University Electrical & Electronics Engineering Dept. Micro Nano Characterization Laboratory (MNL) deals with the design, modeling and experimental characterization of nanomechanical systems (NEMS), microelectromechanical (MEMS), micro-optomechanical systems (MOEMS), medical micro devices as well as analog and radio frequency (RF) microelectonic circuitries. Design capabilities of the laboratory include Finite-element based physical modeling, equivalent system modeling, integrated-circuit design and lumped element mechanical modeling. Experimental characterization efforts at MNL focus on the vibration-amplitude measurement, dynamic characterization of micro-systems, high-frequency distributed parameter modeling, fiber-optic transmission systems. 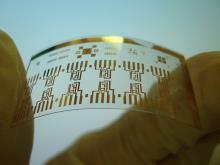 BUMEMS is a fabrication laboratory for quick prototyping used to do research on micro-electro-mechanical systems (MEMS), polymer thin film microfabrication, polymer electronics, polymer light emitting diodes (LED), microfluidics, integrated wireless sensors and actuators and electrochemical etching and deposition for nano/micro patterning. 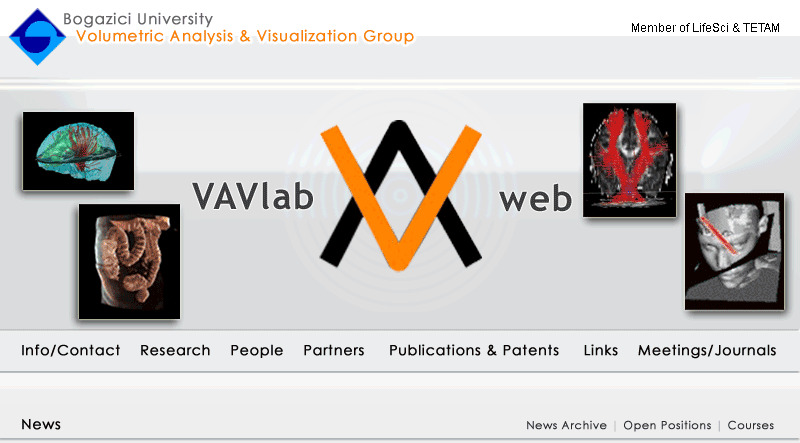 VAVlab (Volumetric Analysis and Visualization Group) is a multidisciplinary group conducting research primarily on image/signal processing and analysis. Application fields range from multimedia and industrial applications to medicine, including diagnostics and decision support systems, medical image processing and analysis, simulations, brain network analysis, biosensor signal analysis as well as industrial IoT applications. VAVlab maintains a wide network of collaborations with national and international academia. Bogazici University Signal and Image Processing (BUSIM) laboratory has been one of the most productive multidisciplinary research milieus. Its research horizon encompasses the theory and the applications of image processing, speech processing, video coding, computer vision, signal processing for communications; security and biometry. Since its inception in 1993 it has graduated more than twenty PhDs and close to a hundred MSc students. BUSIM has hosted several guest researchers and a multitude of national and international projects. The speech group at Boğaziçi University was initiated in year 1998 as Dr. Arslan joined the department from Entropic Research (later acquired by Microsoft). In year 2005, Dr. Murat Saraclar joined the group from AT&T Labs Research. Currently there are 6 PhD and 2 MSc students actively working on speech processing research. 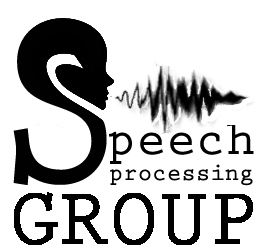 Main topics include large vocabulary continuous speech recognition, voice conversion, 3-D audio-visual synthesis, speech synthesis, speech therapy and speaker identification. Until now 2 PhD dissertations and 17 MSc theses have been completed by the group members. The courses related to speech research at the department are as follows: Speech Processing, Psychoacoustics, Automatic Speech Recognition, Advanced Speech Processing, Statistical Natural Language Processing. The group is involved in two European Union Network of Excellence projects, namely SIMILAR and BIOSECURE. Aside from the cooperation with the partners of those projects, there is active collaboration with Boğaziçi University Linguistics Department, Istanbul Cerrahi Hospital, and Anadolu University Speech Therapy Center. The spin-offspeech research company from the group, SESTEK (www.sestek.com.tr), has products based on speech recognition, speech synthesis and voice conversion technology. Bogazici University Wireless Communications Laboratory (WCL) was established in 2005 with the grants received from the Bogazici University Reseearch Projects Fund and the Scientific and Technical Research Council of Turkey (TUBITAK). These two, as well as the State Planning Organization (DPT), are still the main funding agencies of WCL. Currently, WCL has three full-time faculty members, three PhD and three MS students conducting research on high-speed wireless/mobile/satellite communications. 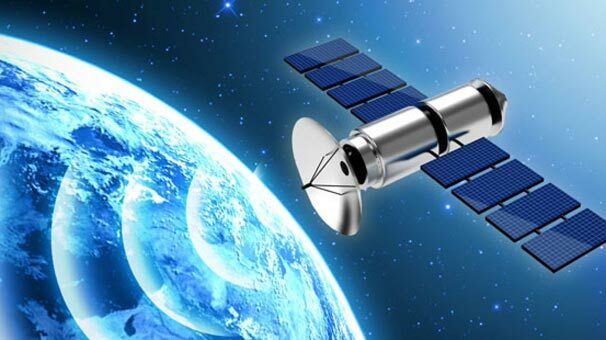 WCL also has close collaborations and joint projects with the VLSI Design Lab (BETA), the Computer Nertwork Research Lab (NETLAB) and the Satellite Communications Research Lab (SATLAB). You can find information on the WCL personnel, main research areas and activities, research projects and publications at wcl.boun.edu.tr. NECS (Networked & Embedded Control Systems) Laboratory conducts interdisciplinary research primarily on mathematical system theory, networked control systems, wireless resource allocation and automotive control. Some of the application areas include robotics, communication networks, sensor/actuator networks and automotive. Within the laboratory, a testbed is also setup to develop a team of robot players eligible to compete for the championship in the RoboCup Small-Size League. 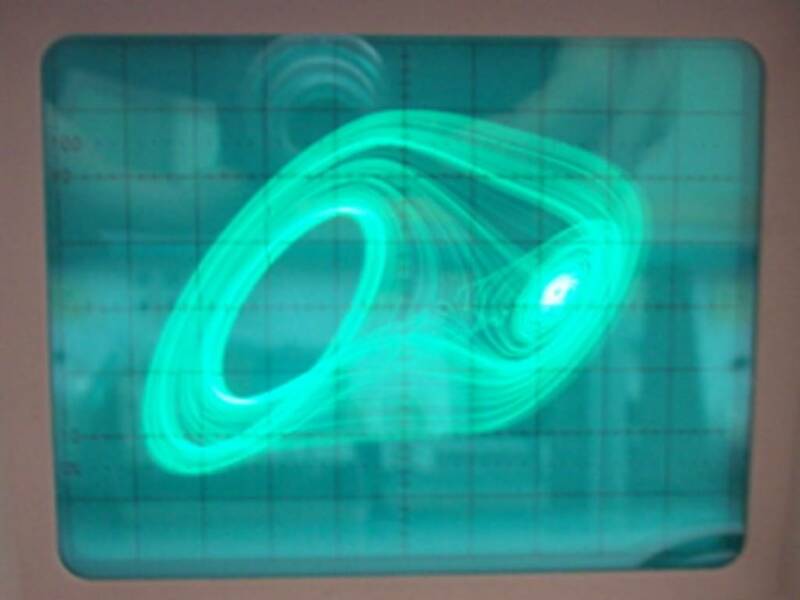 ​DS Laboratory aims to model, simulate, analyse and investigate the properties of and develop control methods for dynamical systems, irrespective of their field which can range from mechanics to biology, from cognitive systems to economy. Due to the inherently interdisciplinary nature of its domain DS Laboratory cooperates with various departments and institutes of different disciplines. Mechatronics is the synergistic integration of mechanical engineering with electronics and intelligent computer control in the design and manufacture of products and processes. Bogazici University UNESCO Chair on Mechatronics focuses on developing new methodologies in the areas of intelligent systems and mechatronics. The research includes combination of both theoretical studies and their practical applications to robotics and nonlinear systems. Some practical applications of the Mechatronics Laboratory are robotic manipulators (2 DOF SCARA, 5DOF CRS/Quanser and Inverted Pendulum), electromechanical system (Antilock Braking System) and flexible manufacturing system (MPS 500).